Note – after two years, the course has now gone up to $35! These precious dollars help to pay for new writers for Little Red Tarot, support the creation of new decks via crowdfunding sites, and more! The Alternative Tarot Course is $25, or about £17. In a world where online courses regularly cost far upwards of $100, people keep asking me why it’s so cheap. So here’s the answer for once and for all! Last November I surveyed my readers. The results were illuminating…but not that surprising. The vast majority of you gave your ‘profession’ as artist, writer, waitress or student. And what do artists, writers, waitresses and students tend to have in common? A ridiculously low budget! I’ve been there. I’m still there. 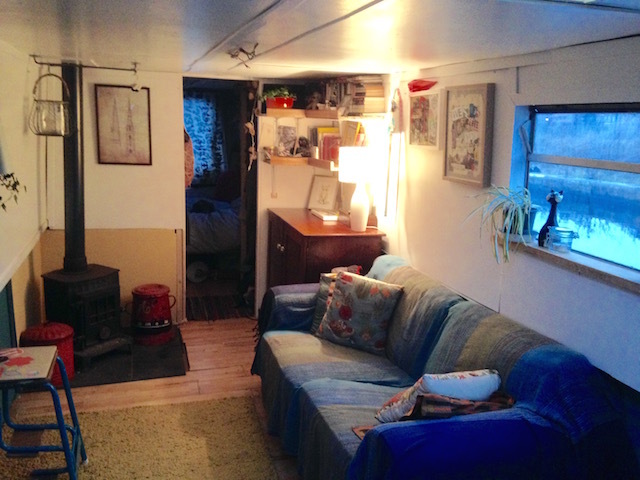 Newsflash: I don’t live on a boat for the sheer romanticism of it guys. Cute! And more importantly CHEAP. Welcome to the generation of student loans and unemployment, forever-renting and bar-work well into our grown-up years. I know few people who earn a decent living and/or own their own homes. Those who do have either taken a solid career path, had some serious help from the folks back home, or both (and that’s cool – seriously no judgement here about anyone’s choices or privileges.) But when I created the Alternative Tarot Course, the people foremost in my mind were my people. Those who were super excited about tarot, but don’t have the disposable income to splash out on expensive hobby/lifestyle course. Those on minimum wage or trying to make a student loan last a full term. This is not to diss anyone charging ‘proper money’ for their online courses, books or work. Respect to everyone who creates learning materials and puts it out there at whatever price feels right. I read so much about ‘pricing your digital products’ before launching my course and the advice to ‘charge what you’re worth’ resonated deeply. You tell people what to expect by the prices you charge. I really really get that and I didn’t want to devalue my work…or anyone else’s. In the end though, I came back to ‘how little can I charge’? I decided that I’d rather have 100 people take this course at $25 than 20 people at $125. I would call that quality over quantity – though the income is the exact same. I had a lot of fun making this course. If it does well, hell, maybe I’ll make some more pricey stuff. Or maybe I’ll just keep going targeting my work at the people I know and love. Probably a good ol’ mix of the two. I felt like $25 was a fair price for this course. I’m not underselling my work. This course is amazing, and unique! I spent the best part of a year putting it together. There’s loads in there. I get a bunch emails a week from people telling me how much they’re loving it and how much they’re getting out of it and that makes my heart sing. And that’s why I want everyone to be able to take it! So if $25 is still too much for you, drop me a line. I can do a sliding scale here guys. I’ve given a bunch of places away for free to folks who can’t afford the cash right now because hell, the more the merrier. 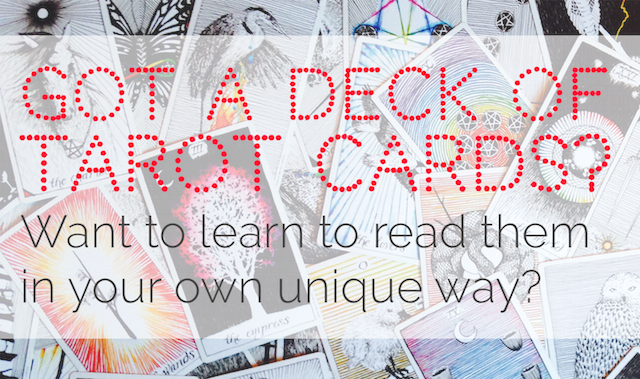 Everyone should be able to learn tarot! My email is beth@littleredtarot.com. And if $25 is just small change to you and you’ll like to fund those lower-end or free places, I’ve added a ‘donate’ button to the course sidebar. Log in and add a donation large or small in recognition of my work and the folks who still can’t afford it, no matter how low I go. Or, heck, click right here and do it now. 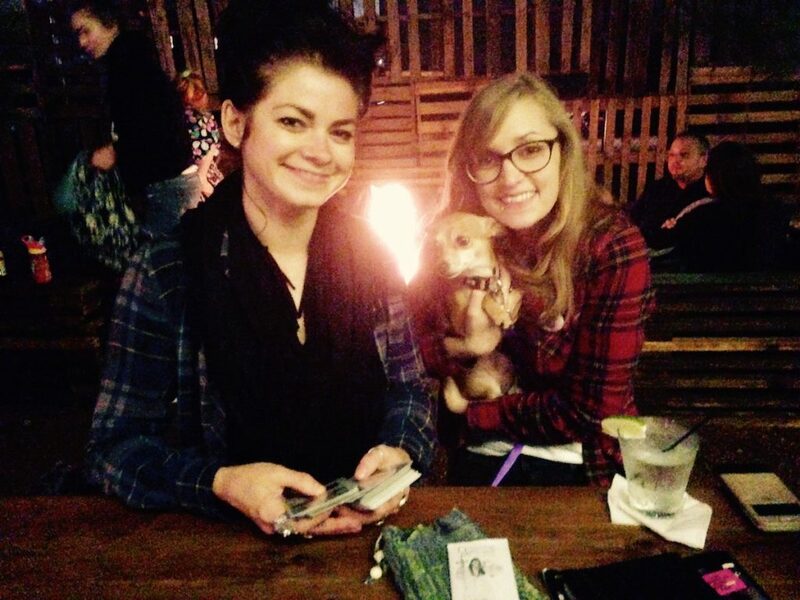 Tarot lovers unite and support each other to learn! 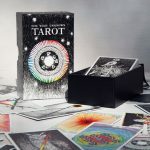 The Wild Unknown Tarot is now in stock! Thank you for this post. What you said about reaching “your people” totally hit home and honestly made me a wee bit teary. Wow, thank you for your kind words Jeanna. 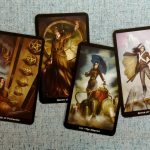 I’ve been interested in your tarot course–the thing that has me considering it (besides the fact that I love your blog and figure it would be pretty awesome) is the price tag. Thank you for this post about why you charge what you do. It really resonated with me because I run a small business too, and it’s geared toward students. I try to keep my prices low enough that they are affordable for my target market. As it is the prices are still out of range for a lot of people. But when I hear how happy my customers are it’s gratifying. One more thought–I’ve been using tarot for years as a sort of self-therapy. I couldn’t afford the real thing, but I could afford a deck of cards. My cards have helped pull me out of depression and see what I need to work on. I recommend tarot to people for that purpose. Seeing as how a lot of people who really need it can’t afford counseling from a licensed professional, I think it’s extra awesome that you made the choice to make the course affordable. I’ve honestly always wondered! When I was recommended this course, I clicked on it to see how much it would be because I figured it would be like everything else and that I wouldn’t be able to afford it, but then my jaw dropped. I thought you were kidding! Or that it was a special deal so I swooped in fast. I love, love, love this and you have been the hugest inspiration to me!